2nd ANNUAL WSU COMMUNITY BRIEFING - SPEAKER PRESENTATION RECORDINGS! WSU 2017 COMMUNITY BRIEFING ON IMMIGRATION VIDEO RECORDING STILL AVAILABLE! 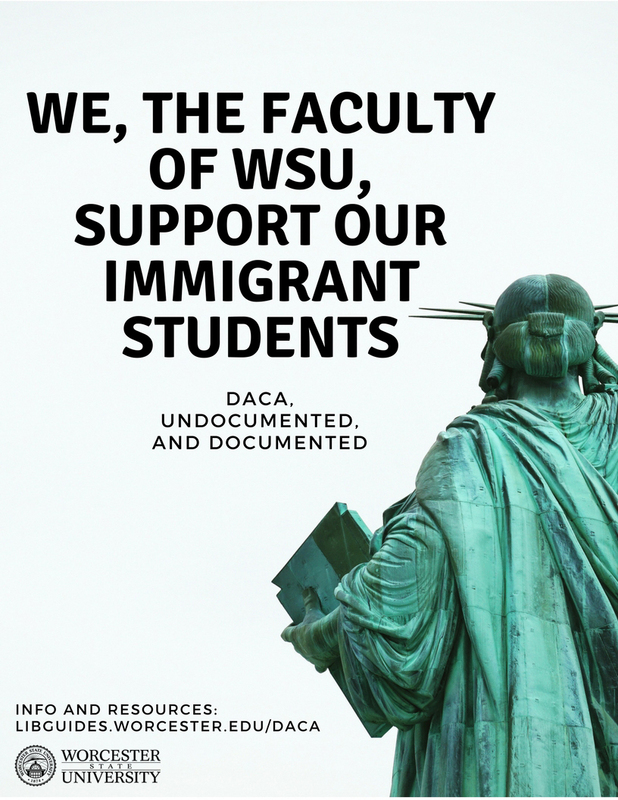 Video recording of the "Community Briefing on Immigration" event, held at WSU on November 16, 2017; accessible only to WSU students, faculty, and staff with valid university logins. For the timeline of the speakers and presentations, click here. 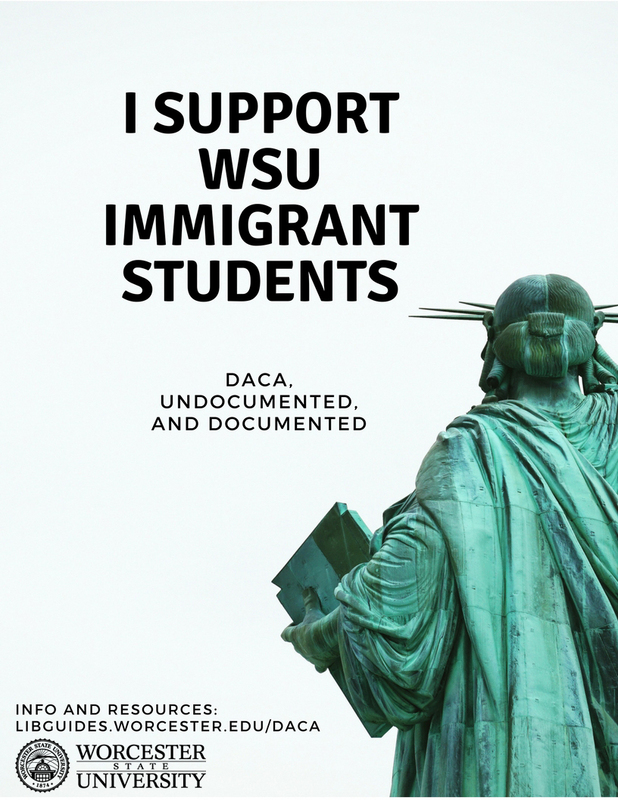 For texts of the Dramatic testimonials from anonymous interviews with WSU DACA students, in Spanish and English, click here. 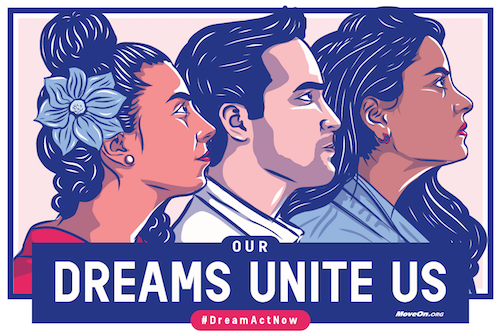 SIGN the United We Dream Petition to: Members of Congress, United States Congress - Protect Immigrant Youth: Pass Dream Act Now! Massachusetts Attorney General Hotline to Report Incidents of Bias-Motivated Threats, Harassment, and Violence - CALL 1-800-994-3228, or, fill out an online civil rights complaint form if you have witnessed or experienced bias-motivated threats, harassment or violence against immigrants; racial, ethnic and religious minorities; women; and LGBTQ individuals. The Hotline and complaint forms are available in English and Spanish. Iandoli Desai & Cronin P.C. is a firm practicing exclusively in U.S. immigration law. The six attorney firm represents businesses, institutions and individuals on a wide range of U.S. immigration and nationality issues. Their website's News and Updates section is dedicated to weekly posts regarding current immigration law reform, upcoming events, and educational information on the immigration law process. You can also subscribe to their email newsletter for automated updates. "What It Takes to Truly Be ‘One of Us’" - Pew Research Center. In U.S., Canada, Europe, Australia and Japan, publics say language matters more to national identity than birthplace. We, the Worcester State University chapter of the Massachusetts State College Association, hereby assert our solidarity with our students, faculty colleagues, and WSU staff and administrative employees. This statement is occasioned by the US government’s adoption of ill-advised and possibly unconstitutional new policies restricting, and in some cases completely banning, immigration to the United States. We believe that policies such as these are generally harmful to democracy and, in particular for institutions of higher education and research. Encouraging the open consideration of the widest possible variety of ideas is the only way for a university such as ours to perform its service to the public, and those ideas must come from people of various national, ethnic, racial, and religious backgrounds. As our universities, have become more diverse in all of these ways, they have become stronger. Any action, local or national, that impedes this growth diminishes our ability to fulfill our fundamental purpose. In addition to preventing this growth in diversity, the new immigration policies will likely have a chilling effect that will make all members of our academic community feel less safe in presenting, discussing, or researching ideas that might not meet with ‘official’ approval. Academic freedom is closely aligned with the freedom of speech protected by the US constitution and is crucial for the health of our country and its institutions of higher education. College and university classrooms and campuses are critical sites for informed, civil, and multi-partisan discussion. Rather than excluding people and ideas, we at Worcester State University honor them. As scholars and educators, this is our core belief and our mission. We affirm our commitment to making our campus a safe and welcoming community for all its members, regardless of nationality, race, ethnicity, religion, ability, or sexual orientation. We also reaffirm our commitment to serving Worcester and its surrounding communities as they continue their long history of welcoming immigrants and refugees. Massachusetts Law About Immigration - A compilation of laws, regulations, cases, and web sources on immigration law. Being undocumented is NOT a crime - "Know your rights!" Online tutorials, videos, flyers, and pocket cards! U.S. Citizenship and Immigration Services (USCIS) - USCIS is not accepting requests from individuals who have never before been granted deferred action under DACA. However, due to federal court orders on Jan. 9, 2018 and Feb. 13, 2018, USCIS has resumed accepting requests to renew a grant of deferred action under DACA. MIRA is the largest coalition in New England promoting the rights and integration of immigrants and refugees, advancing its mission through education and training, leadership development, institutional organizing, strategic communications, policy analysis and advocacy. 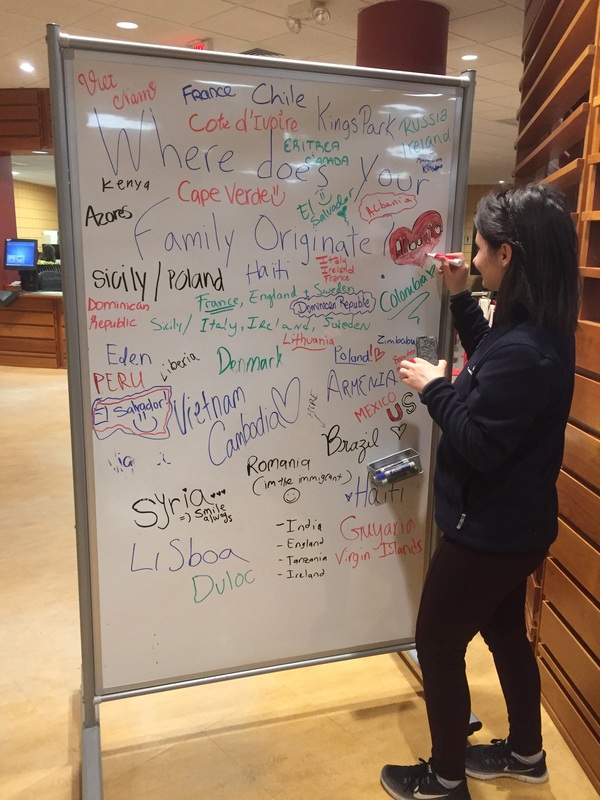 "The Student Immigrant Movement is a MA-based statewide immigrant youth-led organization. The Student Immigrant Movement (SIM) was founded in 2005 with the goal to train, engage, and mobilize young leaders across the state to advocate and fight for higher education rights for all immigrant students. We fight for the liberation of the undocumented community through the development of a network of immigrant youth organizers in high-density immigrant communities. We organize youth, ages 13-30, and provide political education, leadership training, protection, guidance, mentorship, and safe healing spaces.Our vision is that all immigrant students have equal access to higher education, are not discriminated based on their immigration status, collectively realize their full potential, define their own identity and become fully engaged in every aspect of society that affects their lives." Click here for the "What we do" one page SIM summary. On June 15, 2012, the U.S. Department of Homeland Security (DHS) made a change in federal immigration policy regarding deportation enforcement for young immigrants that meet certain criteria, known as Deferred Action for Childhood Arrivals (DACA). This policy states that the federal government will “defer action” or not prosecute deportation cases for qualifying individuals for a period of two years from the time their application for “deferred action” is approved. If approved, DACA beneficiaries will receive work permits in addition to deferred action status. Under the Board of Higher Education's residency policy, work permits make individuals eligible for in-state tuition at the Commonwealth’s 29 public college and university campuses, provided that they meet all other requirements. Statistics - Did You Know? Massachusetts ranks 19th out of 50 states, Washington, D.C., Puerto Rico and Guam for approved DACA cases! Massachusetts is home to 12,058 DACA residents! -----Quarterly data - This report contains information on requests for consideration of deferred action for childhood arrivals. The cumulative number of requests accepted for processing, biometrics appointments scheduled, requests ready for review and requests completed to-date are displayed.